HeightOMax is some type of “height increasing pills” that has been all over around on the internet, claiming to gain more stature from just taking the pills. Somehow, I stumbled across several different bottle’s labels from this HeighOMax supplement! 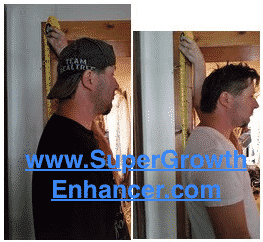 Can this height enhancement product really cause growth on us as customer users? Maybe. I actually found consumers to mention their results, and therefore, I will show you at this review on these users are saying about their personal usage. 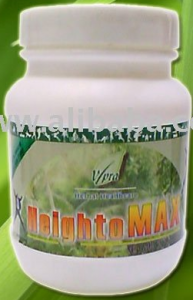 Vipra Herbal HealthCare might be the company/manufacturer who developed the product. 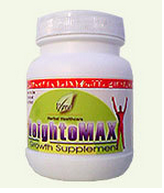 I’m going to demonstrate everything you would need to know about this HeightOMax supplement. 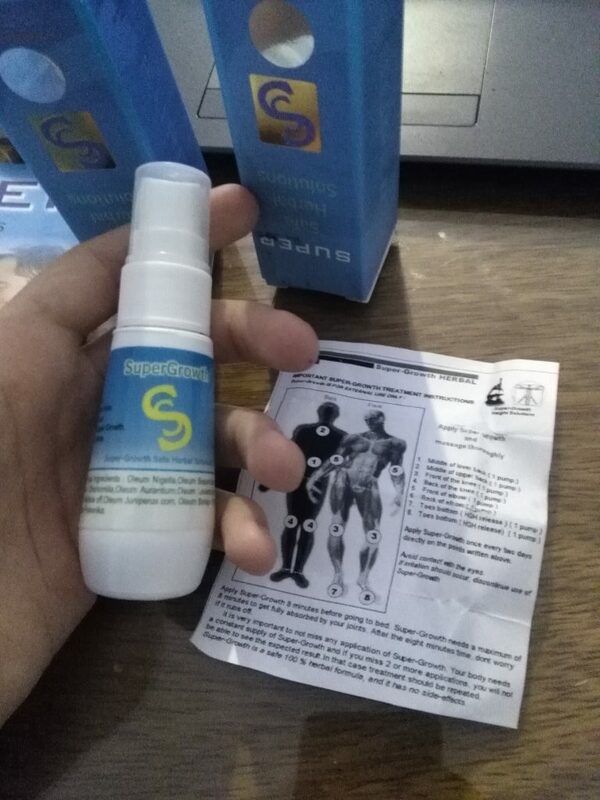 Retailers are saying that this HeightOMax supplement is a “height growth medicine” for everyone, regardless of your age, since it’s for pre and postage growth of the body. They mention that it’s the number #1 height enhancement formula in today’s market because it causes maximum growth potential on stature. As they explain, it’s a worldwide product for anybody to order it online and start their treatment for addition inches in height. It should be 100% completely natural and safe to cause no negative side effects. I mentioned previously that the company/manufacturer behind this HeightOMAX formula might be the (Vipra Herbal HealthCare) located all the way in India, Ghaziabad. 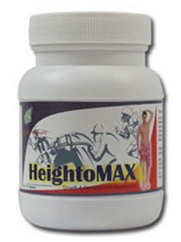 This HeightOMax formula claims it’s for children over the age of 7 and for adults as well, where they guarantee to increase more height after our growth plates are closed. Yes, that means that If I were to use this particular supplement, I should gain extra inches in stature, being permanent. They mention to boost up the growth and development of bones, density, and thickness of Vertebral disks, plus lengthening the spine as well. Promotes to enhance more muscle mass, while reducing excessive body fat by boosting the metabolism rate, plus increases the growth of cells and repair the tissues. Retailers are claiming to improve general health, such as by strengthening the nervous system, immune system, balance cholesterol levels and support the heart. Mentions memory power helps with sleeping problems, and should also reverse the aging process. Should help improve posture, self-image and confidence levels. According to them, the formulation of compounds produces amino acids and nutrients to stimulate the pituitary gland and that way, it releases more HGH (Human Growth Hormone) levels in a natural process. For those of you who don’t know, HGH is a protein substance produced by the pituitary gland and it’s critical for the growth factor of the bones, organs, muscle and overall body. However, not only it’s a supplement of pills, but they mention to include a “How To Grow Taller” manual for a complete program to accelerate the growth. I’m assuming it’s some exercises and techniques to do, which they do share that by stretching, it helps create tension in the bones, ligaments and muscle growth. They state that it’s everything we need to grow our body and promotes growth spurt, meaning it should really be the complete system/program. Therefore, this manual shows us step-by-step instructions on what to do and what not to do’s. That way, they claim to elongate the spine, overall bones, etc. The product’s company (Vipra Herbal HealthCare) included only natural, safe and effective compounds in one formulation. HeightOMAX carries the active ingredients, called Withania Somnifera, Asperagus Racemosus, Pueraria Tuberosa, Mukuna Pruriens, Terminalia Chebula, Termanalia Arjuna, and Plumbago Zeylanica. All of these components together, it should cause to increase the production of HGH, bones growth and lead to gain inches in height, as they promise. Now to take the HeightOMAx capsules, they share to swallow only 2 pills in the morning after the workout/exercises prefer with warm milk and 2 capsules at night before bedtime. 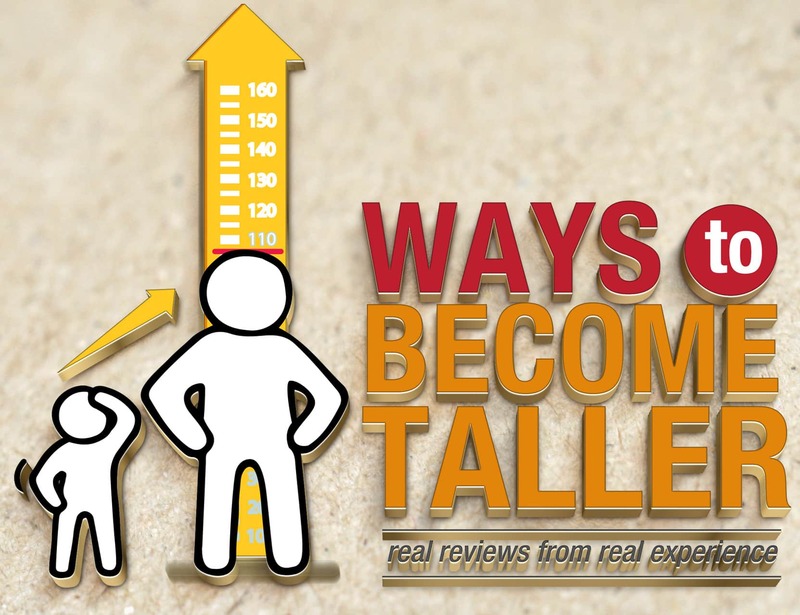 For the “How to Grow taller?” exercise regimen, each session should take 20-30 minutes per day and they should be very simple and easy to do, as they explain. Yes, they promote that it’s completely safe, natural and effectively from these step-by-step techniques. As you do know, it’s only available at third-party e-commerce websites or at the company’s webpage, and you would have to check with them for any money back guarantee or refund policy. Some might not have it, but since it’s an expensive height enhancement supply, It’s best to find out first before going any further. Now even though they produced and introduced to the Indian market first, they mention shipping worldwide to most countries out there. Same with the shipping process, you might want to see with them for any discreet shipping for the privacy of all users. No prescription is required to take a risk and give the product a shot! Other than that, we found no proof of evidence from any clinical trials/studies or any scientific data to back up the formula’s effectiveness. We found no medical endorsement from doctors or a professional expert to approve the formula. There is no scientific structure or any form of clinical data for proof of evidence. The formula was made in India country and not in the USA/Canada region for more quality. Unable to find any before-and-after results from real consumers or any testimonials. Failed to have an official primary website for more information about the product. We actually found customer users on Yahoo Answers and individual user to share their experience, which they gained no height growth results whatsoever. One of them shares that it’s a “gimmick“, known as a scam item. Nobody mentions anything about getting results from this HeightOMax. Seems like it might be a scam, especially how there are several different bottle’s labels everywhere. To tell you the truth, I don’t know if the company/manufacturer have optimized and improved the HeightOMAX growth pills, or maybe they are just a simple ploy to get your credit card details? I really don’t know, but from the red flags and cons that we found, we can basically call it a “scam” ! However, the customer user shares their experience that he used and followed the “program” for 3 full months and gained not even “a single centimeter”. Wow! Yet, the product’s company failed to share any studies to prove the formula’s effectiveness or a professional expert to really approve and recommend it to all folks. Based on the researches about the ingredients and the benefits, it seems that it might only be an HGH booster… So what about the fused growth plates? We found nothing to mention anything about “growth plates”, because just exercises and techniques may not really open up the fused/closed growth plates from my personal experience. Basically, what I’m trying to say here, you and me as a customer user might as well look for something else in the height enhancement market. 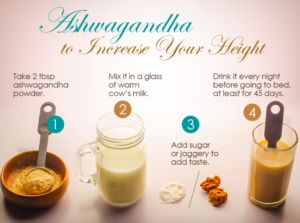 In fact, there is one product in today’s industry called (Growth Factor Plus) and real consumers who actually used the formula, they share to have gained inches in height. 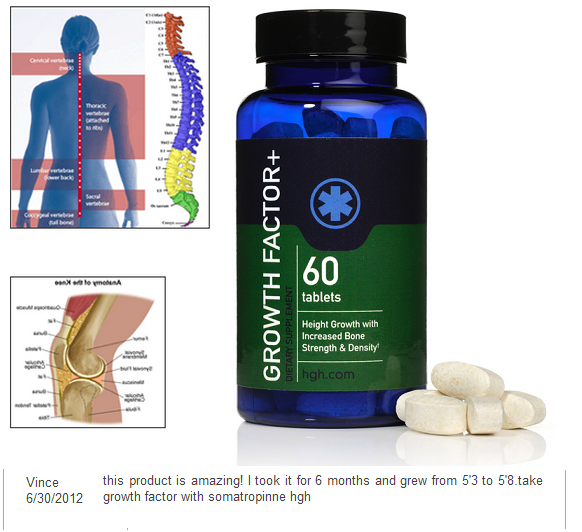 Yes, this Growth Factor Plus formula is a pill form as well and after we reviewed it, we found that it might be something that we as customer users with our growth plates fused, can expect inches in height. Now, maybe you don’t find the HeightOMax product a “scam” or a “gimmick” item, because you have used it in the past and gained some results? If so, scroll down and share it with all of us because everyone would love to find out the exposing truth, if it’s really a scam or not! Comment me below with thoughts in your mind. Mapple Height Top Powder – Can It Really Increase Height? Maybe, or Not! Really!? That’s not good at all, well thanks for sharing as this will help me and many others be aware and not go for something that doesn’t work. Yet, have you got a chance to check out the Super-Growth height enhancer? I actually used and I increased my height here, plus when you click here I’m going to show before and after results as well! Sure, I know how your feeling because I have been in the same boat as you, where I gave several products a shot who claimed to increase my stature and none of them work. Yet, by that reason, we shouldn’t let it get to our head, which there is one supplement of pills called (Growth Factor Plus) and with this height growth product, many real consumers are mentioning to gain results of inches. I would personally take a look at my review to find out if its really for you as well !